DMW Boss, Davido has set an example for other record label bosses as he buys his entire crew the latest iPhone series. Davido posted earlier in the day on his social media, showing off the I-phones he bought for his entire crew. 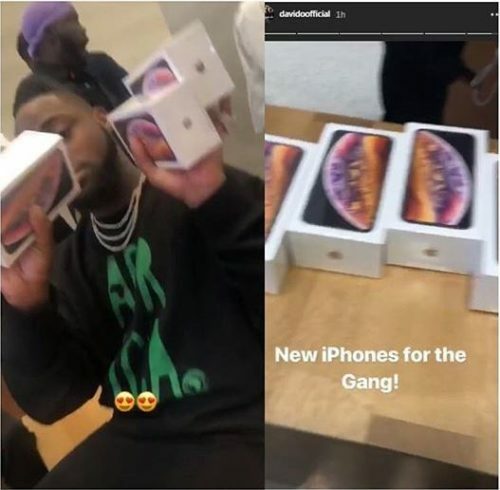 Davido is known for taking care of his own as this is not the first time he has made such moves for his crew members (30 BG), he got them the I-phone X when it came out last year and now he added the newly released Iphone series to their phone accessories. Davido Admits Duncan Mighty Inspired His Latest Hit “If”.